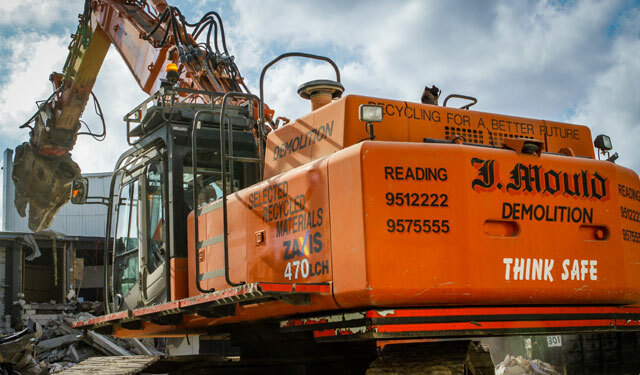 J Mould (Reading) is a specialist demolition, decontamination and recycling contractor with more than 45 years’ experience of multi-disciplined project management and execution. Family-owned and managed, the company is known for its innovative approach to industry challenges. The company’s team of highly experienced industry specialists offers a breadth of in-house skills that is second-to-none. Whatever the demands of an individual project, JMR offers the professional skills and the engineering capability to ensure a safe, cost-effective solution. Get in touch with us today to discuss your waste management needs with our team and we’ll be happy to help.